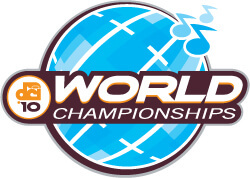 The following order of appearance for the 2010 Drum Corps International World Championship Open Class Quarterfinals was determined by the average of scores earned by each corps at the DCI Tour events in Greendale, WI (Aug. 6), Belding, MI (Aug. 7), Dubuque, IA (Aug. 8) and Dayton, OH (Aug. 8). The Open Class Quarterfinals will take place on Tuesday, Aug. 10 at Ames Field in Michigan City, Ind., featuring all 16 Open Class corps that will compete for the World Championship title. All corps will advance to the Open Class Semifinals at Lucas Oil Stadium on Friday, Aug. 13 in Indianapolis, Ind. Tuesday, Aug. 10 – Ames Field, Michigan City, Ind.